Nikki Bradley, a social worker for 31 years, was awarded an Honorary Degree at Middlesex University’s graduation ceremony today. In 2014, Nikki was awarded an MBE for her service to children and families — a culmination of a career focussing on mental health, child protection and family intervention. She is currently leading Tower Hamlet’s operational and strategic response to the government’s Troubled Families agenda and manages the Youth Justice and Family Intervention Service. Nikki set up the Tower Hamlets Family Intervention Project in 2007 and in 2009 it won the Guardian Public Service Award. 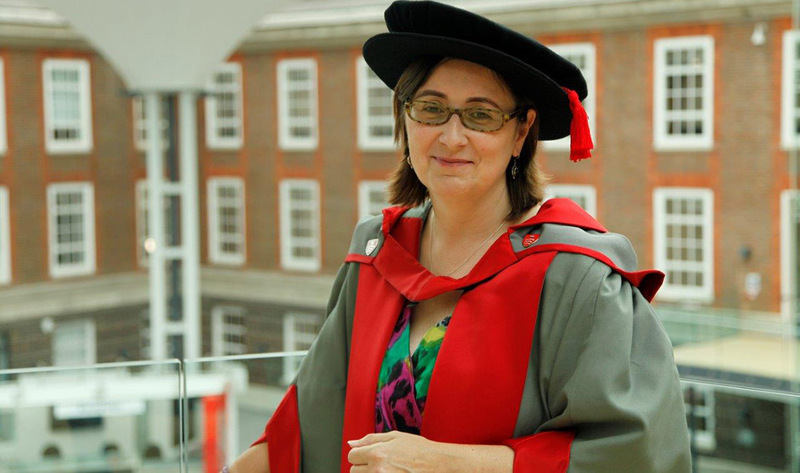 She has contributed to the Middlesex University social work degree since 2005. “Middlesex and I have come a long way since we first met in 1981, I have always had a great fondness for the institution that enabled me to become a social worker with a mixture of tough realism and excellent teaching," says Nikki. “It is a real privilege for Middlesex University to be able to recognise expertise, public duty and creativity by offering outstanding individuals one of our Honorary Degrees," says Tim Blackman, Vice-Chancellor of Middlesex University.